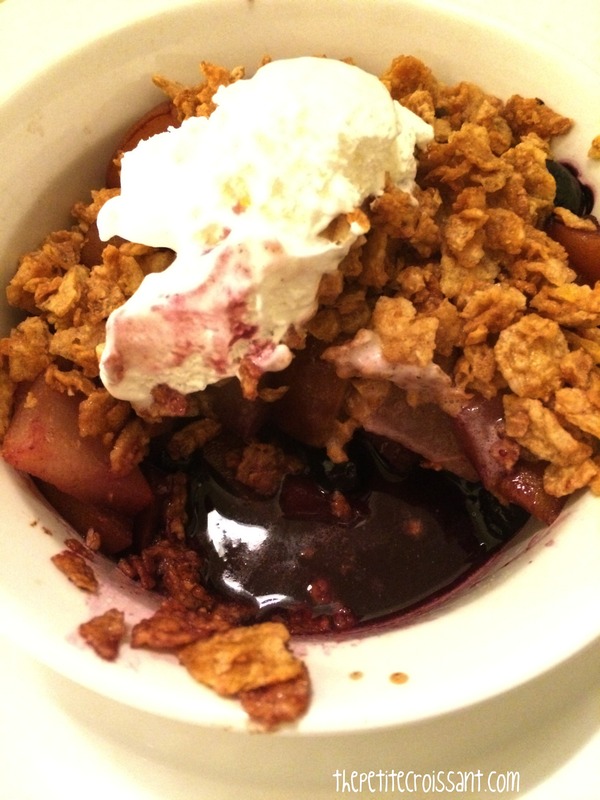 If you’re like me and are trying to start 2015 off on a healthier path, but you also can’t completely give up on dessert, then cobbler is always the way to go. However, some cobbler recipes end up adding too much sugar and undo the healthy aspect of a fruit based dessert. Here is a version that tries to cut down on the sugar. 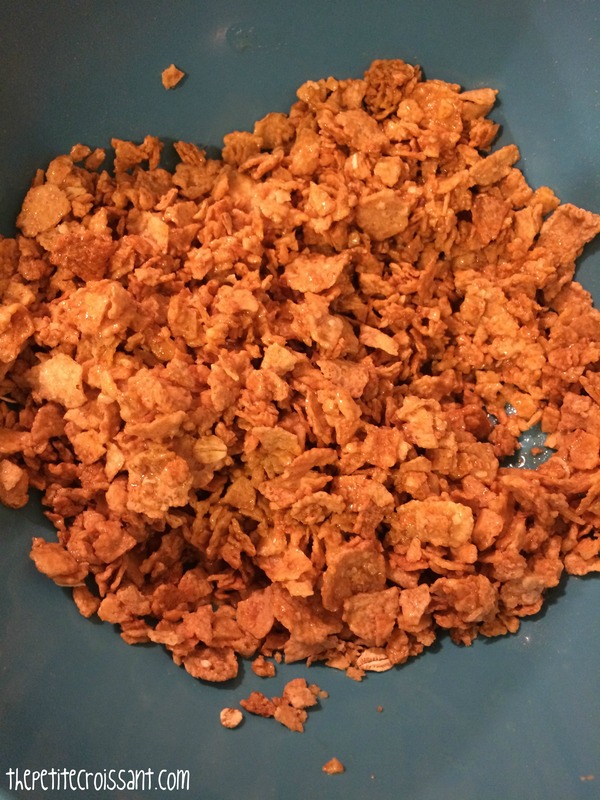 Plus, the recipe makes 6 servings so you won’t have too much left over. You could even halve the recipe if you just want 2-3 servings. 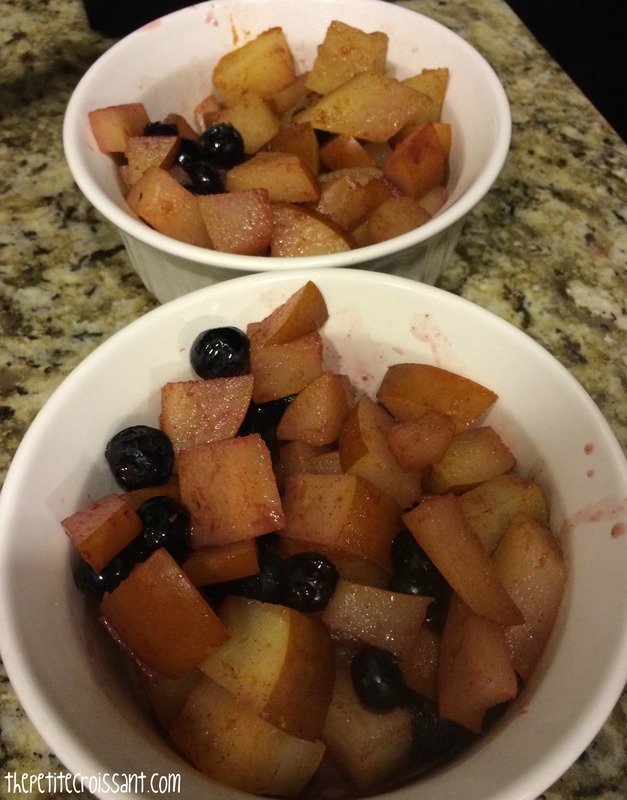 For a more traditional cobbler, see here. 1. Preheat the oven to 350 degrees. Get out individual ramekins. 2. 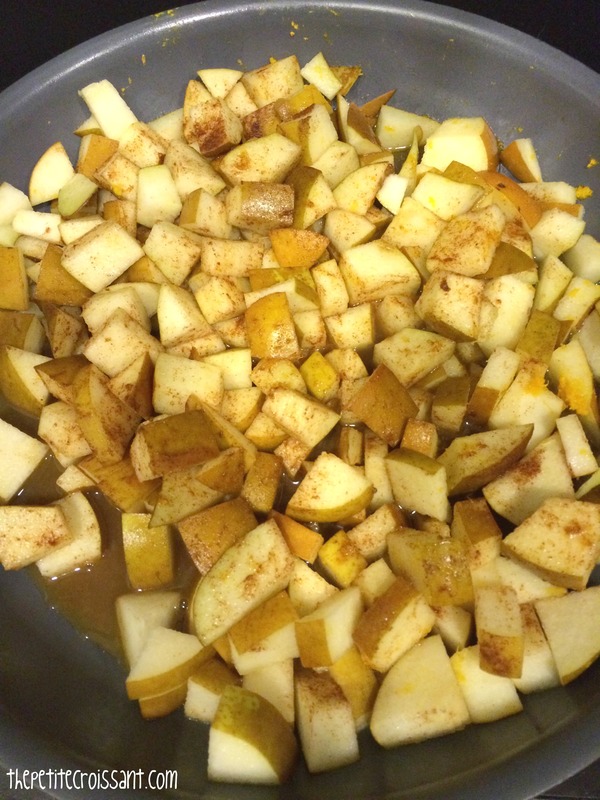 In a large pan on the stove over low heat, cook (with a cover on the pan) the pears, lemon juice, orange zest and juice, and cinnamon. You want to cook them until they are easily pierced with a fork, about 10-20 minutes. 3. 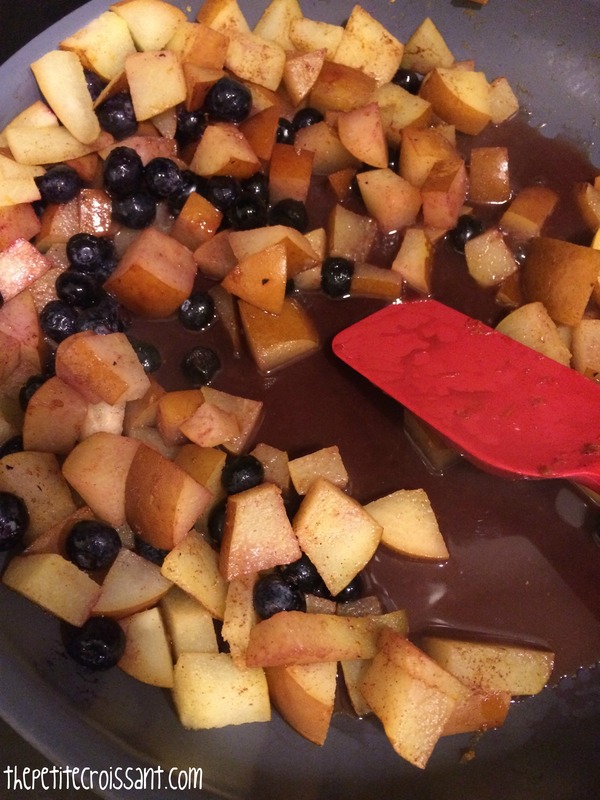 Add the blueberries and cook for one more minute. Once done, divide the fruit into your 6 ramekins. 4. 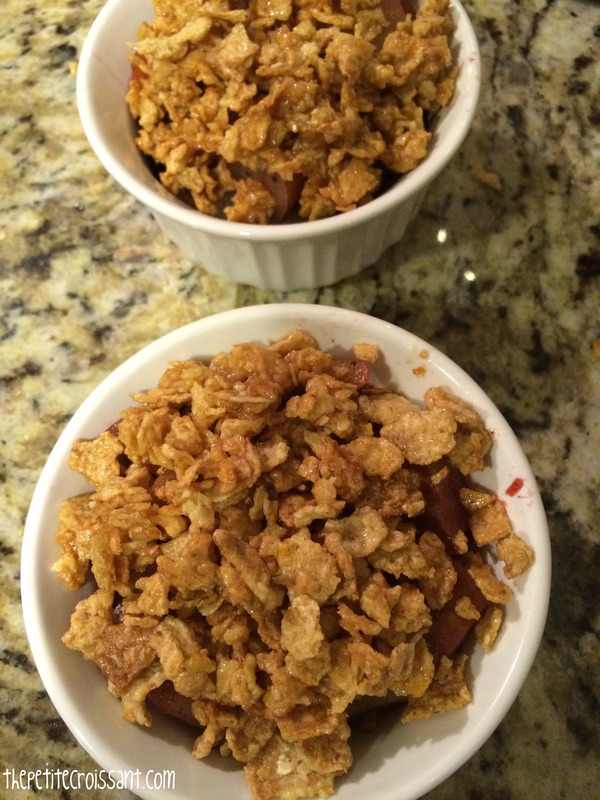 Mix the crushed cereal with the butter and top each ramekin with enough crumble to cover the fruit. 5. Place all 6 ramekins in the oven and bake for 15 minutes. 6. Remove from the oven and allow to cool for 5-10 minutes. 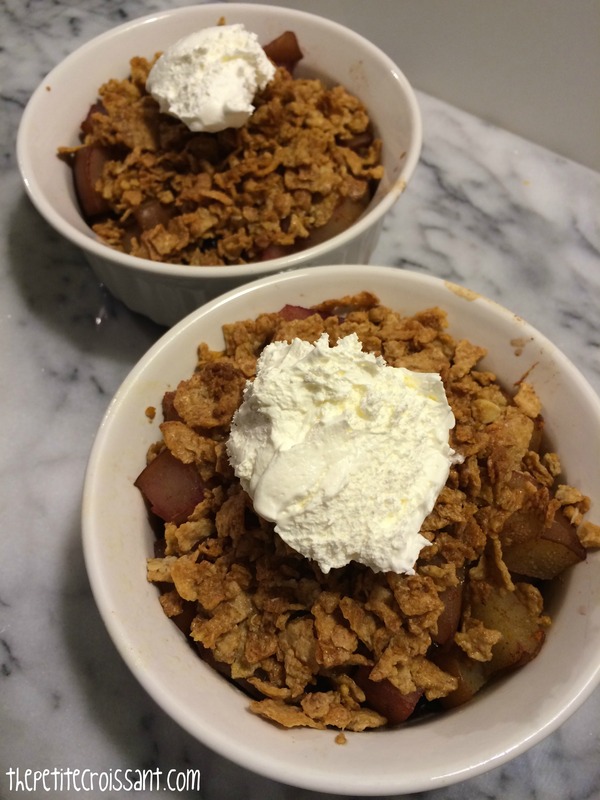 If you want, top each one with a dollop of yogurt, Cool Whip, or ice cream.